Now that we are officially in the Halloween season it is the perfect opportunity to stock up on some spooky comics. There is an amazing horror anthology that just popped up on Kickstarter that I backed and you should check out. Cullen Bunn Presents: A Passage in Black features 11 tales of terror from an amazing group of creators. It is a throwback to the old horror comics Bunn read as a kid and if you are familiar with his work you know that this is right in his wheelhouse. Onto this week's books! 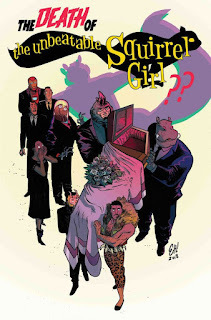 Unbeatable Squirrel Girl #37 - It appears that Squirrel Girl is dead after helping save New York from a giant krakken. All of the superheros are attending her funeral dressed in their finest black costumes. 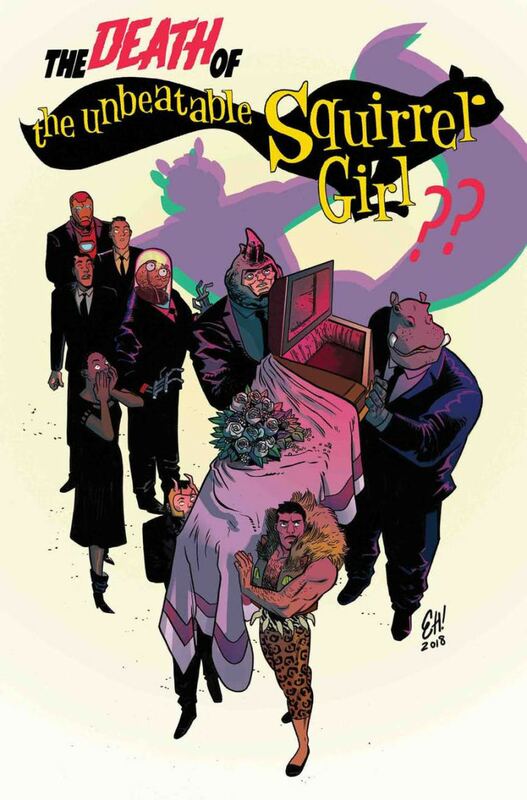 Packed with the usual witty banter, we learn that Squirrel Girl is in attendance of her own funeral incognito. She needs to understand why everyone thinks she died and who is behind it. Upon reviewing the footage of her death at her funeral (who doesn't want to share the video of their death at their funeral), she determines that the only group behind such a stunt is a certain alien race known for their shape shifting ability. Hmmmmmmmmm. I should also add that you can buy a Squirrel Girl costume at Target!! 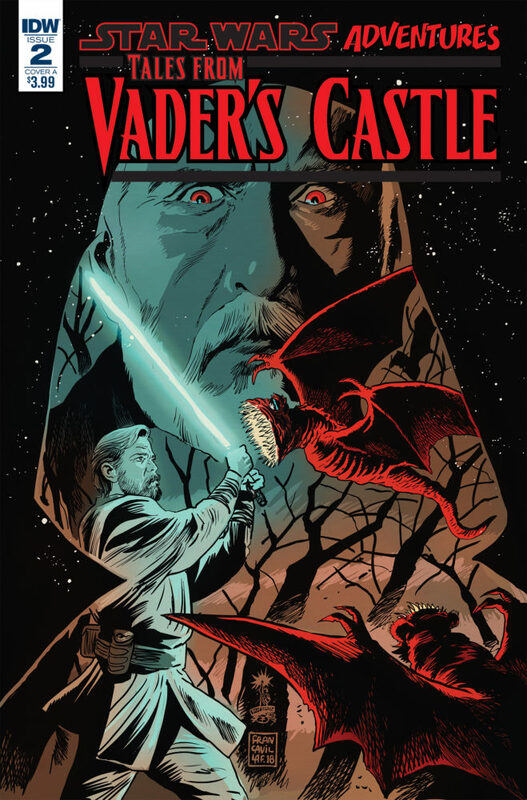 Star Wars Adventures: Tales from Vader's Castle #2 - Just in time for Halloween, this Star Wars series reads like an old horror comic complete with giant spiders, mynocks, and an infected crew member who turns into a monster. Count Dooku is the host on the planet Mustafar to a Rebel crew who crash landed on it during a secret mission. Definitely not as all-ages friendly as its counterpart, but still a lot of fun and an entertaining read. Birthright #32 - An interesting issue moves us on to the next chapter in this saga that allows us to see more of what Mikey experienced when he was kidnapped as a child. I will admit that I need to give this series a re-read to fully understand all of the story lines, but this was a powerful issue to see what Mikey has been through throughout this entire ordeal. His wife had to sacrifice her wings to fully save him from the Nevermind and now they need to focus on saving his younger brother, Brennan. The thing about younger brothers is that they tend to make mistakes and often make things worse. 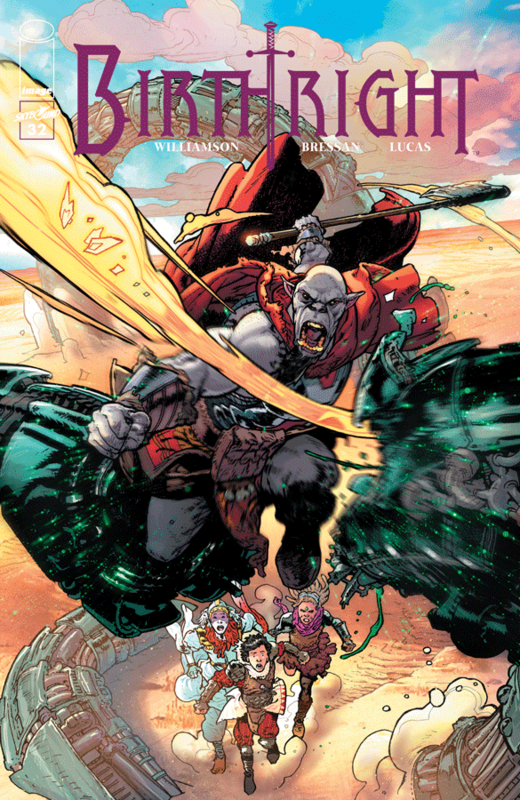 This issue did a good job setting up a new arc that will show us the dangers of playing with magic.